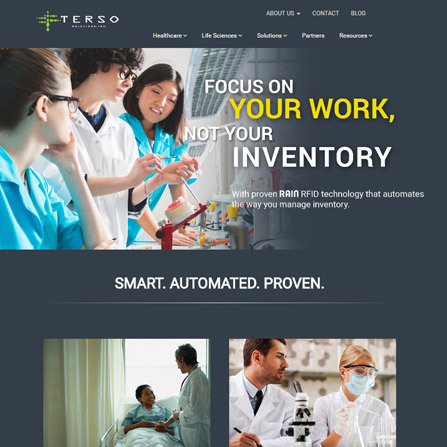 Fast growing company, Terso Solutions, focuses on inventory management solutions that is of incredible value; life and death, actually. 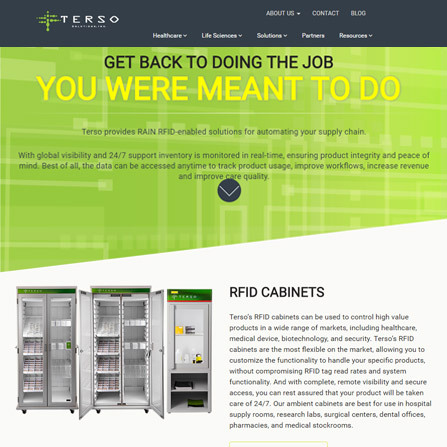 Their RFID-enabled solutions ensure product integrity and a real-time look at inventory in the healthcare and life sciences industries. This high-end technology required an equally high-end web presence. That's where Adesys stepped in. 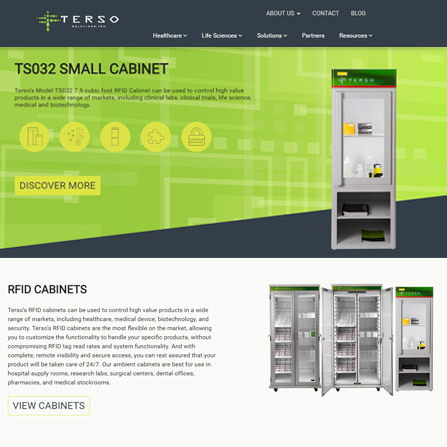 Adesys designed and implemented the new Terso Solutions website with one main, clear objective: To deliver a top-notch, mobile-friendly website to showcases the extraordinary technology Terso has developed. With a user-focused message, a streamlined flow of content, animations, and more, Adesys brings new life to an already technology-rich company.